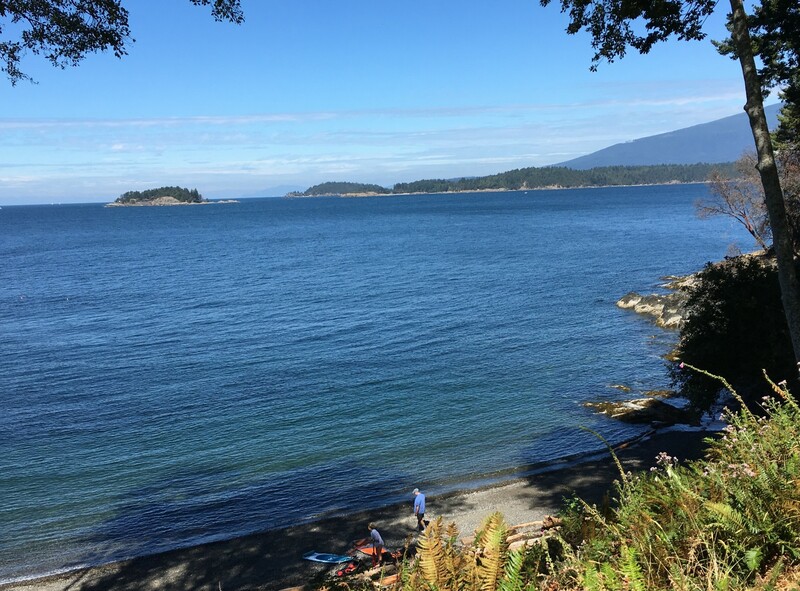 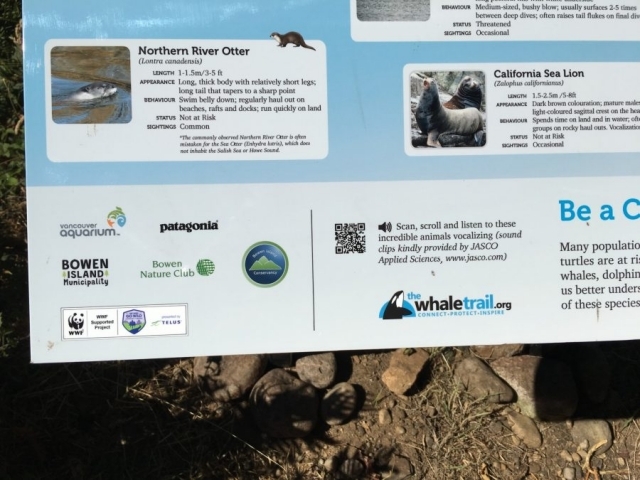 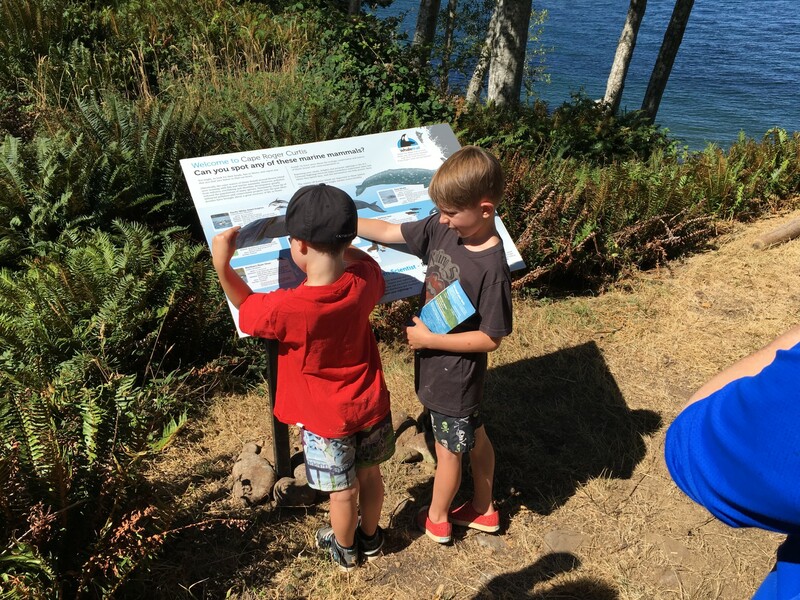 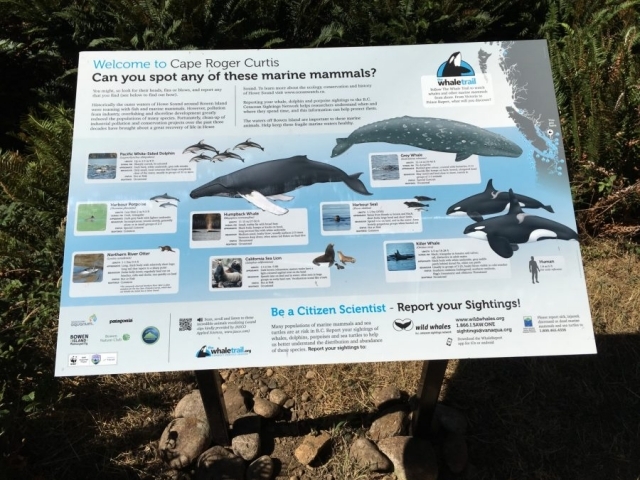 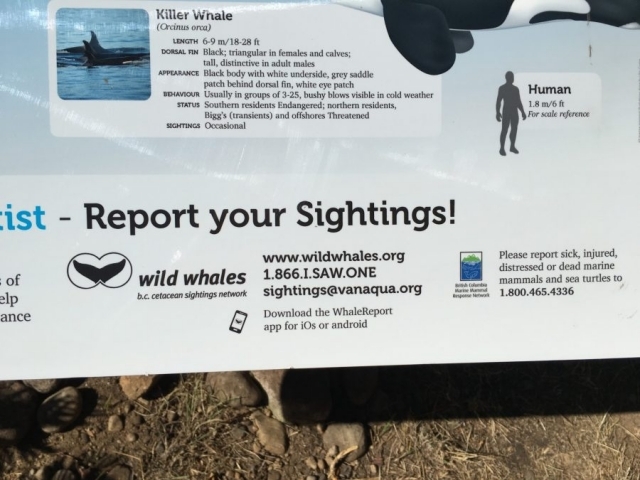 in July 2017 Bowen Island became part of the Whale Trail, which is a series of sites along the Pacific Northwest coast where the public may view orcas, other cetaceans and marine mammals from shore. Pebble Beach (also called Cape Roger Curtis Beach) at Cape Roger Curtis is an ideal spot for viewing orcas and other marine life from on shore. 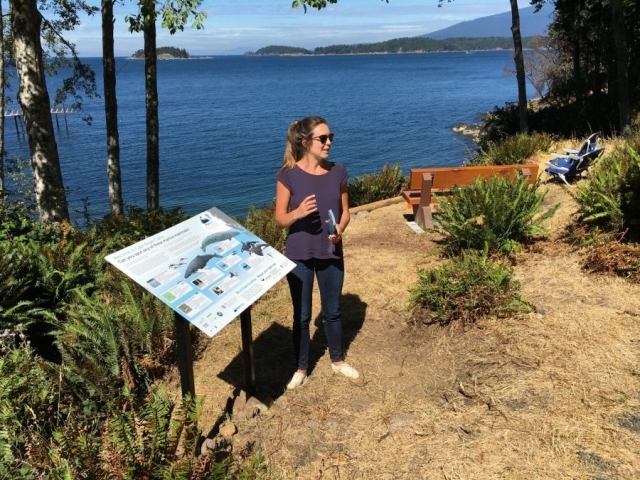 You’ll find an interpretive Whale Trail sign there, unveiled on July 29th, 2017. 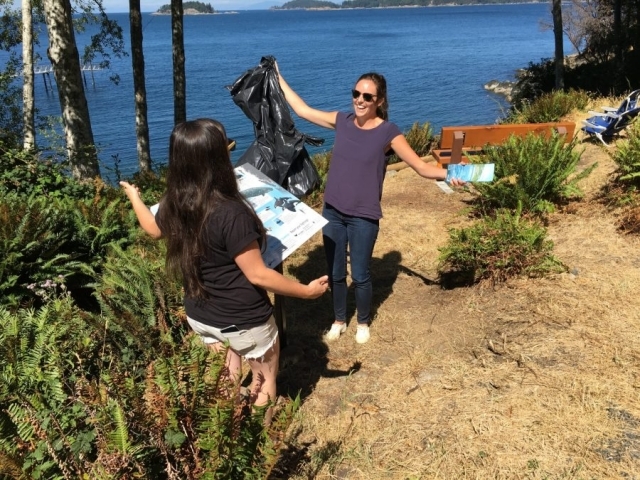 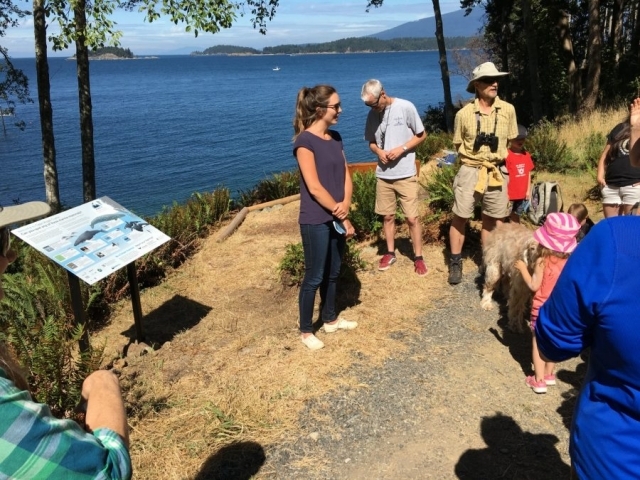 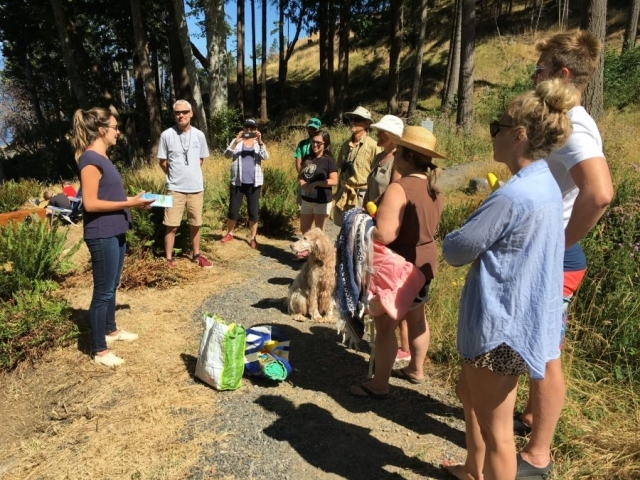 The Conservancy is pleased to be part of this initiative, with the Bowen Nature Club, the Bowen Island Municipality, and the BC Cetacean Sightings Network.